‘Gone Girl’ Writer to Pen ‘Utopia’ for HBO!! David Fincher’s name is synonymous with a successful film franchise, and for using Brad Pitt in his work. Films like ‘Fight Club‘, ‘Se7en‘, and ‘The Curious Case of Benjamin Button‘ have all been huge box office hits and when we hear Fincher’s name, we expect more of the same. After a successful TV debut with Netflix’s ‘House of Cards‘, he is ready to take on another series, like ‘House of Cards’ it is a British remake, and will be aired on HBO. The drama series project is based on the Channel 4 series, ‘Utopia‘, created by Dennis Kelly and produced by Kudos. 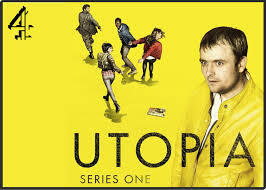 ‘Utopia‘ enjoys a successful following on Channel 4 and in January of 2013 was picked up for a second season to air later this year. 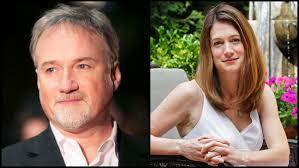 Fincher is to direct the adaptation written by Gillian Flynn. The pair worked together when Fincher modified Flynn’s best selling novel, ‘Gone Girl‘ which is set to hit theaters in October of this year. Like ‘Gone Girl’, ‘Utopia‘ shares the Thriller genre. ‘Utopia’ revolves around the die-hard fans of an iconic, underground graphic novel who are suddenly launched into their own pop-culture thriller when they learn that the author has secretly written a sequel. Unfortunately, the new manuscript is much more than just a book and those on the hunt for it suddenly find themselves in a game of shifting loyalties, conspiracy and shocking twists as the true meaning of the book is slowly revealed. Flynn will write the U.S. version as part of an overall deal she has signed with HBO. The adaptation will be produced by HBO and Kudos sibling Shine America, with Fincher executive producing alongside Joshua Donen, Kelly, Kudos’ Jane Featherstone and Shine America’s Carolyn G. Bernstein. This entry was posted on Thursday, February 13th, 2014 at 12:54 pm	and is filed under News, Television. You can follow any responses to this entry through the RSS 2.0 feed. You can skip to the end and leave a response. Pinging is currently not allowed. « John Singleton is Making The Tupac Shakur Biopic!! [In a letter] Dear Dad, you told me an honest man has no fear, so I'm trying hard not to be afraid.